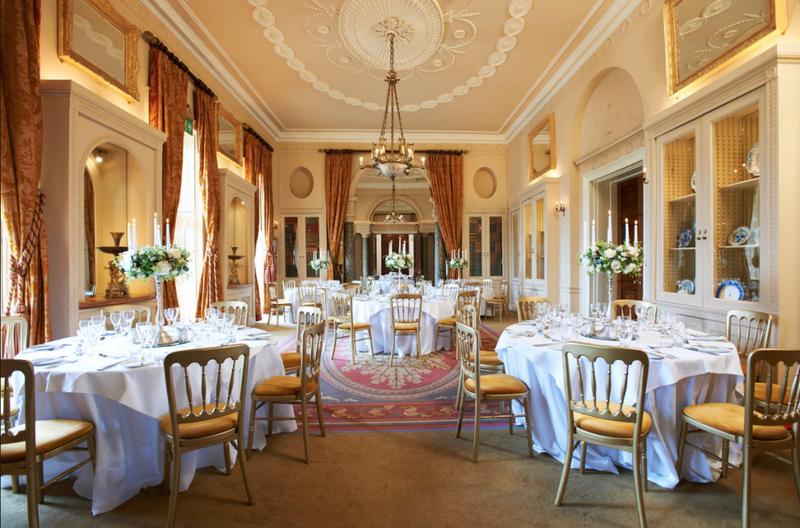 The elegant surroundings of Stoke Park’s 18th century Palladian Mansion provide the perfect setting for your event. Private parties ranging from 8 to 146 can enjoy peerless service and the culinary delights of one of the finest chefs in the country at Stoke Park. Situated in the West Wing, this elegant room offers magnificent high ceilings with ornate mouldings and cornices. An open fire is the focal point of this silk-panelled room, which offers exquisite views across the fountains and gardens landscaped by Humphry Repton and ‘Capability’ Brown. A marble open fireplace and a spectacular tapestry are the focal points of this room, whilst the grand chandelier brings life to the antique furnishings. 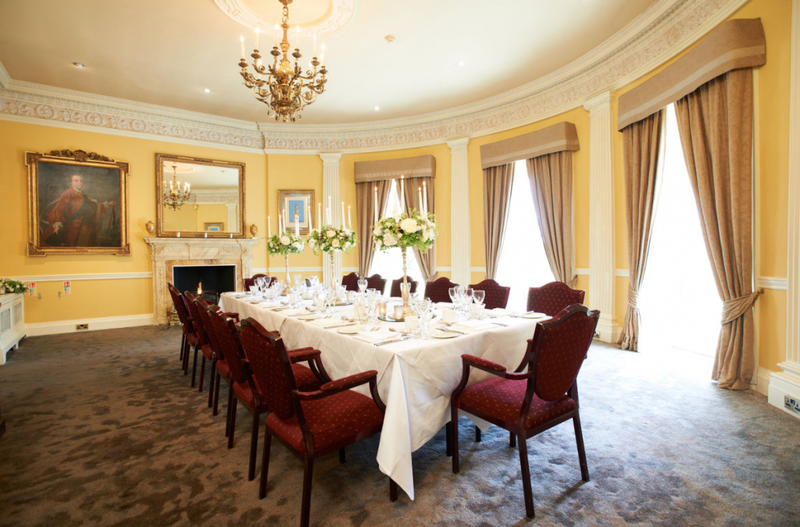 The Buckingham is perfect for boardroom meetings and private dining events. 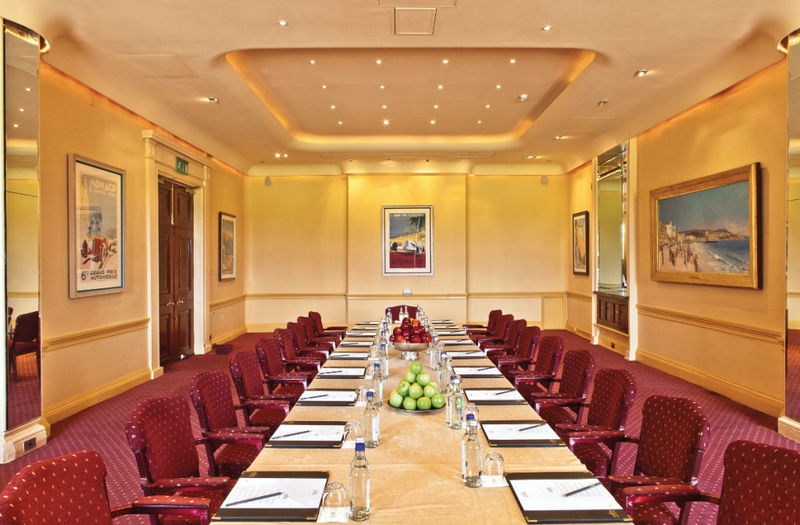 Situated in the North Wing, the Chalfont provides a light and airy venue for any meeting or private dining experience. Beautifully designed with alternative works of art and a touch of art deco, the eclectic individuality of this room will enhance your experience. This spectacular, south-facing room, overlooking the terrace, fountains, and gardens, is without doubt one of the finest locations in the country to enjoy a formal dinner or celebration. Surrounded by 200 years of history and the most elegant interior design, an event in the Fountain Room is an exceptional and memorable experience. High ceilings, located at the front of the house with breathtaking views of the golf course. Equipped with high specification audio-visual equipment, including retractable screen and LCD player, automatic blackout blinds and built-in sound system, makes this an ideal training and conference room. An alcove of daylight and an exquisite fire-surround dominate this room, whilst original paintings and prints adorn the walls. 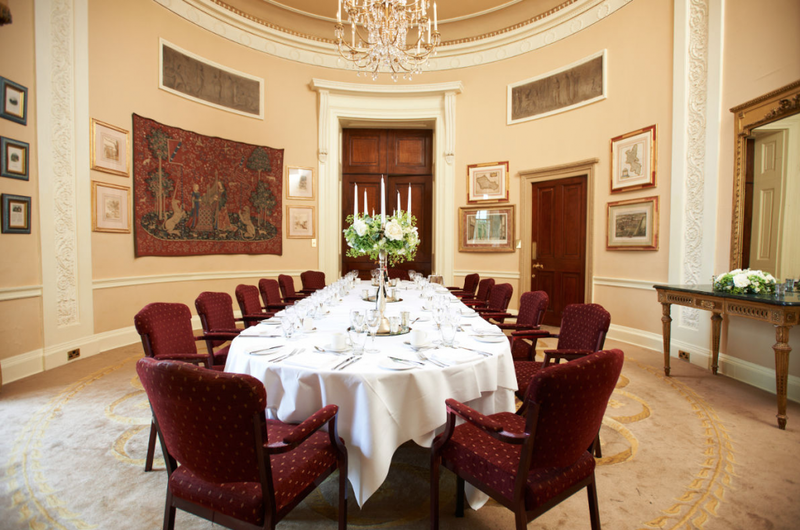 The Repton will enhance any board meeting, private dining event or marriage ceremony. Lined with fine oil paintings and prints, the Wyatt, with its glass-domed ceiling (designed by John Wyatt) is as elegant as it is unique. Direct access is available to the south terrace, where guests can enjoy refreshments whilst listening to the tranquil sounds of the Italian fountain.